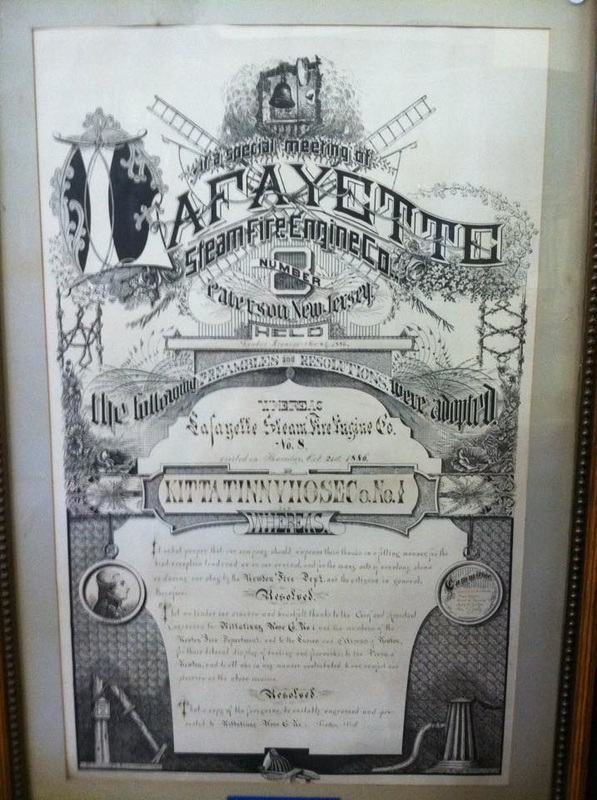 This company was instituted in 1872, going into service in August of that year. They were first located in a one-story frame building located on Sherman Avenue, near Totowa Avenue. They were given the engine which Lexington No. 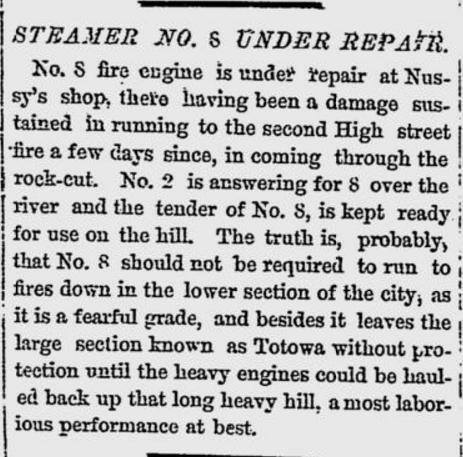 7 had used, a piano-box engine built by James Smith, of New York in 1856. 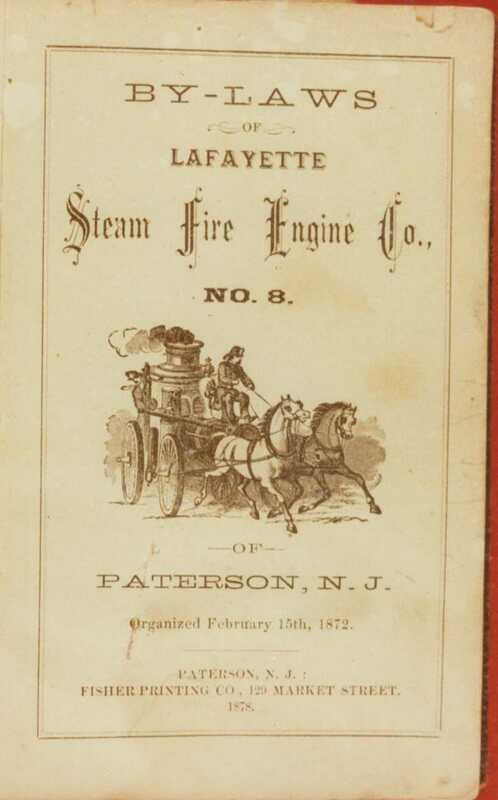 In 1876 they moved into a new two story brick firehouse at 71 Wayne Avenue, at the corner of Liberty Street, where they remained until the paid department took over in 1890. 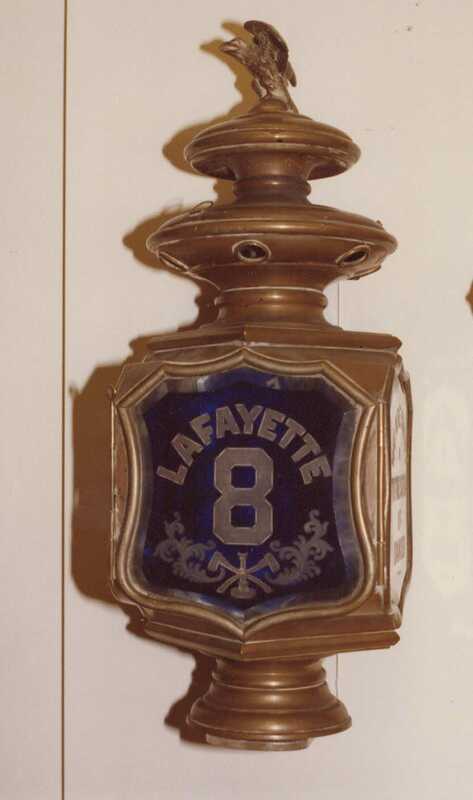 Shown below is the insignia above the main apparatus door on the building, where the "8" is partially worn off. 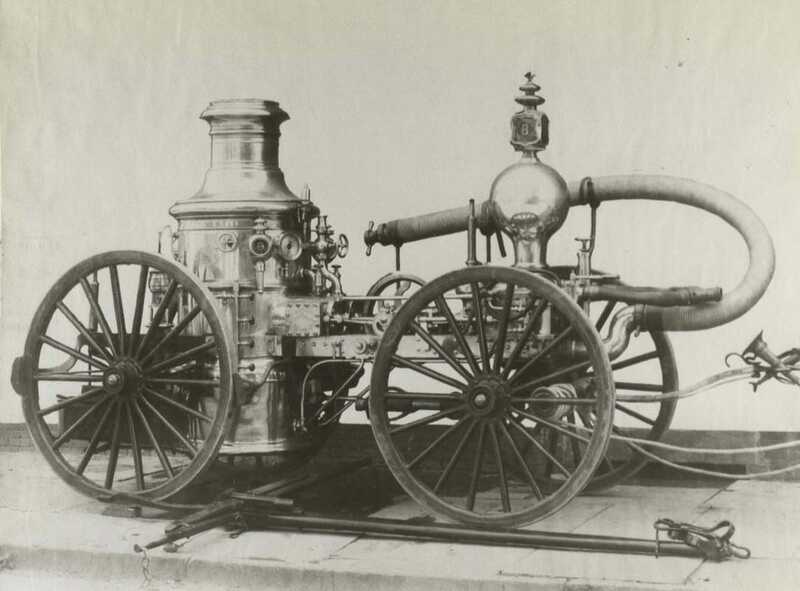 In 1885 they had an Engine built by Paterson Steam Fire Engine Works; a hand drawn third-class engine, double pumps, with horizontal works. Engineer, WILLIAM BOYLE, Assistant Engineer, THOMAS DONAHUE. 1 Richard Ross.. ..... . .. Machinist......... 138 Paterson avenue. 2 Thomas McCoy- ....... .Engineer. ......... .209 Walnut street. 3 G. H. Van Houten.. . . .Carpenter··· ........ 16 Redwoods avenue. 4 Samuel S. Pounds. ...... Machinist. .........11 Albion avenue. 5 James Lawton ......... ....Machinist . ... . .. ...29 Henry street. 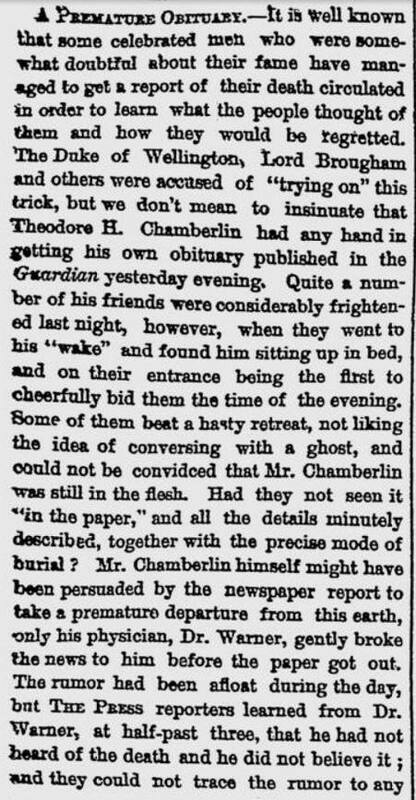 6 T. H. Chamberlin. ... .Printer. ........ .. .347 Totowa avenue. 7 James Spring. ...... ... Paper Maker.. . .. .189 Wayne avenue. 8 George Cummings ... .. Machinist .........2 Lane street. 10 Thomas Sisco. ....... .Machinist.. ........31 Front street. 11 Martin Moore. ....... .moulder.. . ........31 Sheridan avenue. 12 Frank Boyle. ...... .. .Shoemaker. ... ... 196 Liberty street. 13 William Smethurst .- Liquor Dealer. . . . . .81 Wayne avenue. 14 George Walker. .. .. .. .Carpenter. ........ .153 Sherman avenue. 15 John Maher. ......... .Mason .......... .Redwoods & Totowa. 16 J. Tansby.. ... Wire Drawer.. .. . .101 Redwoods avenue. 17 John Dowd. .... ...... .Policeman. ........ Albion avenue. 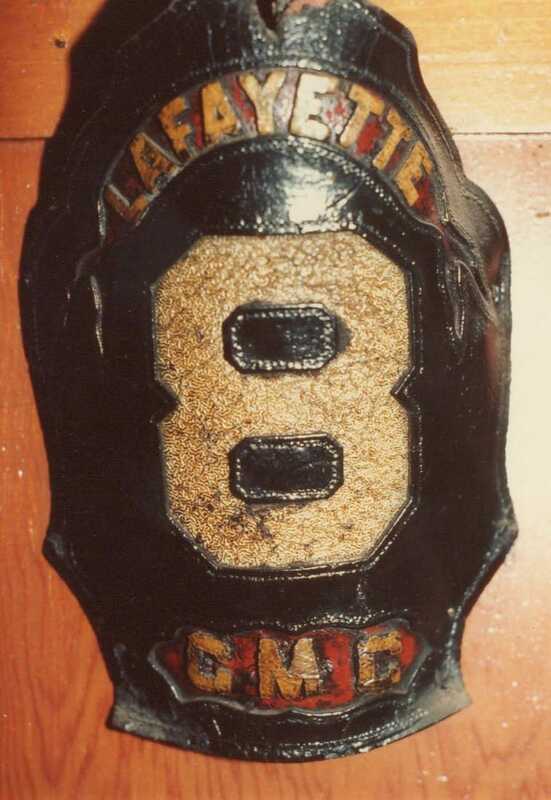 18 J. W.La Rue............. Painter.. ....... . .15 Paterson avenue. 19 John Wallwork.. .. . . Liquor Dealer . . . . . 10 Albion avenue. 20 John Conklin. ......... Plasterer. ..........22 Ryerson avenue. 21 T. A. La Rue. . ... .. Painter.. ....10 Rip Van Winkle av. 22 Patrick Reid.. ....... Liquor Dealer . . .. .Preakness avenue. 24 Edward Moore ........ Dyer.. ........... 214 Walnut street. 25 John Bauman.. . . .Carpenter.. . ... . . . .110 Wayne avenue. 26 John McKelvey...... .Silk Weaver.. . . ... .Redwoods avenue. 27 James McMullen.. . . .Silk Weaver ........113 Redwoods avenue. 28 W. J. Rutledge .. . .. .. .Machinist. .........14 Sheridan avenue. 29 John Melvin........... Boiler Maker. ...... Totowa avenue. 32 Lewis Banghardt. .. .. . .Blacksmith.. ...... .532 Liberty street. 31 William Boyle ......... Machinist ........ 16 Albion avenue. 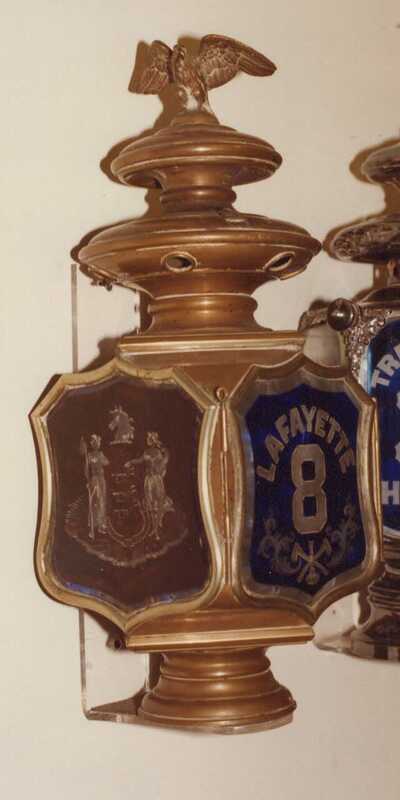 35 Henry Nagle.. ............Carpenter......... ....60 Wayne avenue. 37 J.J. Flanagan. ......... Dyer. ............. .333 Totowa avenue. 38 John Matthews......... Butcher.. ... ......23 Albion avenue. 39 Martin Donahue ... .. .Machinist. .. ....... 54 Albion avenue. 40 John Donahue.. ... .... Printer. .... ....... Sheridan avenue. 42 John Ellis.. ............ Machinist. ......... 106 Wayne avenue. 43 Robert Wright... .. . .. Blacksmith.. .......30 Albion avenue. 41 William Kinane ...... .Boiler Maker. . .. .. .84 Wayne avenue. 45 Peter Bradle.. ........ .Machinist. .........71 Paterson avenue. 46 John McGeahie ........ Machinist ......... Stony road. 48 Robert Brereton.. ..... .Boiler Maker . .. .. .Preakness avenue. 49 Denma Bergen. . .. . . .. .Engineer. ......... .Wayne avenue. 50 Michael Doyle... ...... .Dyer. ......................73 Marshall street. 51 C. J. Rafferty. ........ .Silk Weaver. .. ....13 Redwoods avenue. 52 Thomas McMullen... Silk Weaver .. .. .... 124 Maple street. 54 George Braithwaite. ... Silk Weaver . .. . ... 69 Wayne avenue. 55 J. E. Hockett.. ........ ......Machinist. . ····.........69 Wayne avenue. 56 William Cartwright..... Machinist .......... 69 Wayne avenue. 58 James Dunkersly. . .... .Machinist ........ ........66 Wayne avenue. 59 Joseph Bauman. ...... ..Butcher.. ................. . .5 Albion avenue. 63 Kerim Keys.. ......... .Boiler Maker. ............. .491 Totowa avenue. 64 Joseph Kirwin. ........Boiler Maker........ ....... 197 Liberty street. 65 James Matthews. .. . .. Paper Maker... . . . . . .23 Albion avenue. 66 William Spreen. ...... .Carpenter. .....................213 Walnut street. 67 David Peters. ......... .Machinist. ................... .North West street. 68 William Campbell. . . . ..Paper Maker.. ..... ........249 Liberty street. 69 Joseph Whalley. ...... .Dyer. ......... ......... ..Cor. Grand and Spruce. 70 Martin Quinn.......... Machinist. ........ .................Paterson avenue. 71 John Nagle:........... Dyer. . ..............................212 Walnut street. 72 William Nevins. ...... Silk Weaver. ................99 Redwoods avenue. 73 Joseph Srover ........ Moulder.. ....................... .Paterson avenue. 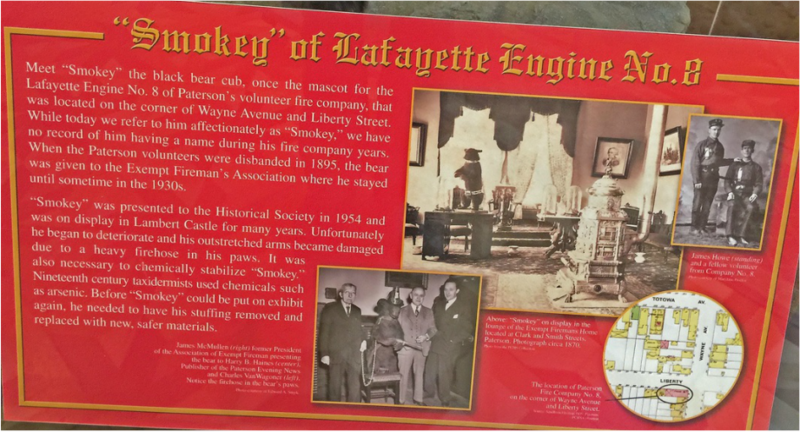 The above placard reads: the bear, of which no name is on record, was once the mascot for Lafayette Engine Company of Paterson's volunteer department, that was located on the corner of Wayne Avenue and Liberty Street. 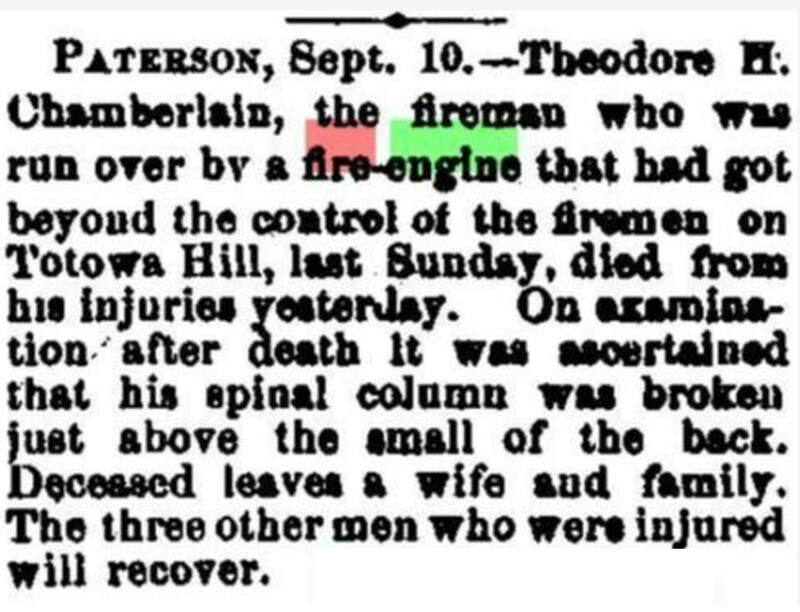 When the Paterson volunteers were disbanded in 1895 [that is erroneous - date was 1890], the bear was given to the Exempt Fireman's Association where he stayed until sometime in the 1930s. 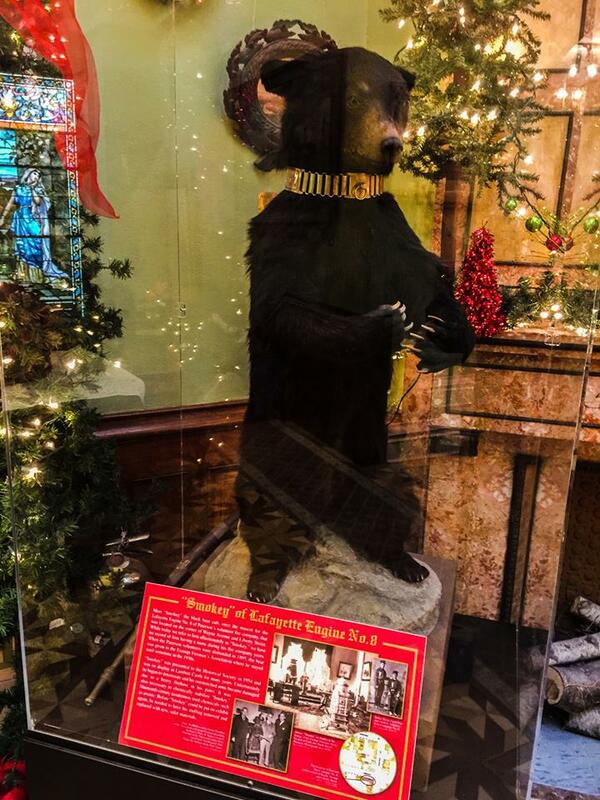 The bear was presented to the Historical Society inn 1954 and was on display in Lambert Castle for many years. 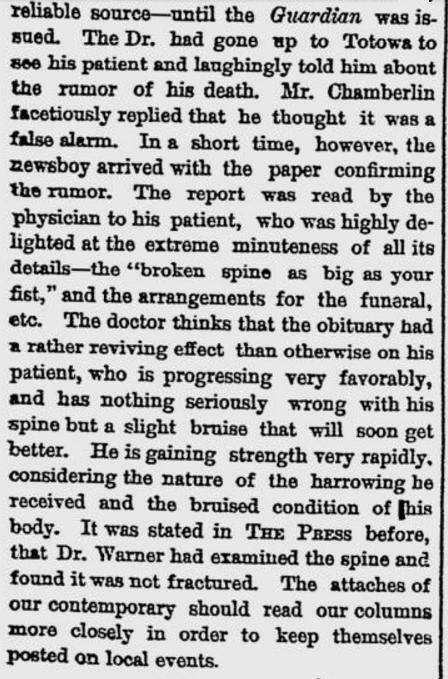 Unfortunately he began to deteriorate and his outstretched arms became damaged due to a heavy fire hose in his paws. It was also necessary to chemically stabilize the bear. Nineteenth century taxidermists used chemicals such as arsenic. Before the bear could be put on exhibit again, he needed to have his stuffing removed and replaced with new, safer materials.